Based on some of the posts made on a different thread … please consider this 1920 pivotal moment in history, and the alternate timeline that it could have produced. Umpapa: "[The film] could be much much better, bearing the importance of the war for Poland and Europe." OldNorthState: "Lenin's fit is certainly justified…Germany was ripe for a workers uprising and once started who knows where the fire would spread given the aftermath of WWI…"
1) Now … IF Poland had fallen to the Bolsheviks in 1920, how long do you think it would have taken the Bolshevik sympathizers in Germany to open the gates to the invaders? 2) How far into Europe would the wave have continued after that? 3) And so, would WW2 have been a Capitalist Democracies vs Marxism conflict, or do you think there would have been no WW2 at all in the 40s and that the (European theater of the) "Cold War" would have started right there in the 1920s? 4) Would there have still been a Stock Market crash in 1929, or would this new "Cold War" have stalled that? What effect worldwide? 5) How would this new Europe have changed the composition of immigration flow into the Americas, if at all? 6) And how long do you think it would have been before the "Cold War" went hot? Would it have gone global (a WW2)? 7) So, IF Hitler had never risen to power, what else might have changed in our history? How would the map look today? How would our Western cultures have changed? Would Japan have been allowed to go unchecked in Asia and the Pacific? The Allies would not have allowed a Bolshevik takeover of Poland, they were after all already active in the Baltic directly and indirectly, including requiring the Germans to maintain their lines after the armistice in 1918 into 1919. So IMHO the Bolsheviks might have made a short lived occupation of Poland before receiving a kicking from the Allies and even the German Freikorps. The Bolshies would have been at the end of their supply lines as well, with a hostile population around them. the German and Hungarian uprisings were easily crushed, so with a direct threat to the Allies' designs for Europe after WW1 I can't see a sustained Bolshevik occupation of anything beyond the Russian borders. The first thing that comes to mind is the condition of Russia post WWI/Revolution #1/Revolution #2. If the Bolsheviks win in Poland, I'm not sure how well Russia could have rolled through those open gates. Besides, Russia may have needed to keep the army home to crush its population to gain the control that it did. I don't see Russia being able to take advantage of it even without interference by the Westerners. The Poles don't like the Russians (or the Germans, for that matter). If the Bolsheviks had taken over Warsaw, and then were public about their loyalty to Moscow, I don't think the civilians would have allowed them to stay in power for very long. And unlike the post-WW2 era, the USSR likely wouldn't have had the military needed to fully subjugate Poland (at least, not in 1920). Even if the occupation was fairly short, the Germans would have become even more paranoid about Communism. Of course that might well them have scuppered the agreements in the 30s where Germany was being allowed to work out weapons and tactics in the USSR. Ultimately though, a large part of the propaganda campaign behind Hitler's rise and the early campaigns in Poland and France was that the Soviets had to be destroyed to ensure Germany's future. So, if Poland had been occupied by the Bolsheviks and then by the Germans, do you think that situation would have produced a "Hitler" figure much sooner than in our own timeline? Poland wouldn't have been the Allies' problem, it would have been Germany. The Soviets could have kept going, and Germany would have been divided. What do the Allies do? Intervention in the RCW didn't go so well, not was it in any way popular. Intervention in Germany? Actually this issue was quite well researched by many historians, incl. military. The point is, it was not Russians conquering Warsaw, it was World Communism. Forebearers of World Socialist/Communist/Marxist Revolution. People allover the world (after the horrors and hunger of WW1) were enraged by true social injustice, distrustful to their elite. Societies, esp lower class, were extremly susceptible to communist propaganda. Social moods were revolutionary. Most researchers agree that Europe was powder keg. F.ex. ammo for Poland fighting in 1920 were blocked by workers strike even in Great Britain. Poland was in 1920 de facto isolated and alone, except US volunteer pilots and Hugary ammunition. In "Jedna przegrana bitwa" Marcin Wolski describe world in such scenario: USSR to Lisboa and Napoli. Piotr Skwieciński describe that USSR finally reached to the middle of Germany (Saxon, Prussian and Bavarian SSR) while revolutions in France, Italy and Spain were ultimately supressed. I think, that in such scenario, marxist revolution would win in Germany, Italy and – democratically – in France; however USSR would incorporate Poland. I disagree with Umpspa. Too many people just want Socialism to win. Every defeat would have been total victory, but for one thing. People tend to think that by then the Reds had won their civil war. But they hadn't, by any stretch. In late 1920 the Whites were making good progress in the South. Until Poland signed and Tukhacheski went South things were looking really bad. Siberia wasn't close to fully conquered. The Estonians were a threat to St Petersburg and if the Finns went in it was lost. The peasants middle Russia were just building to the major Tambov revolt that took years to put down. There was no way the Reds could continue past Warsaw. Russia was far from secure. The Army would have melted away. Just as they did to the Tsar. Europe was on the edge of going Red. Provided you listen to the Reds. In practice Bavaria and Hungary had Soviets that were swiftly dispatched. In reality the workers of Europe were not close to wanting Soviet takeover, as their home governments allowed them democratic means of expression. The Estonians had made peace with the Bolsheviks in December of 1919 after halting the Red Army at Narva and were not exactly a threat to Petrograd in August 1920. Neither they nor the Finns had any taste for a new war with the Bolsheviks. Otherwise I agree, the the Bolsheviks simply could not project force that far from their core territory and thei badly extended line of communications was one reason why the Poles won. The German revolutionaries had proven incredibly inept at armed revolution and offered little effective resistance against the Reichswehr & Freikorps, even the supposed 50.000 strong "Red army of the Ruhr" did not last long. After the tragedy of WWI, many places in Europe were looking for some way, some thing, whatever, that would be a "better" way to do things, etc. So in some cases we shouldn't be too surprised some went or wanted to go "Red", so to speak. The world and death counts would be higher? The Stalinist "Socialism In One Country" link was put forth after, and in response to, the failure to export the "Permanent Revolution" link of Marx & Engels (but most often associated with Trotskyism). Were Stalin to be more concerned with the "far abroad" than with Russia, industrialization may have progressed more slowly. The Holodomor (The Terror Famine link ) would still have occurred, it was already underway. If Germany was also communist there would not have been a continuation of The World War. Without the need to defend Germany, there would be no Autobahn. Not having seen it, The Dwight D. Eisenhower National System of Interstate and Defense Highways (the Interstate) would not be built. Long distance travel would still be by railroad. Without Nazis there would still be pogroms, but not the Shoa. The Aliyah was already under way, but Israel would be farther off. Scientific progress, without the spur of war, would be slower (particularly air travel). Without war losses Germany has three million more mouths to feed and a greater need for Lebensraum. With at least twenty million more Russians (the Ukrainians would have been killed anyway) there would be population pressure to… I'm sorry but the crystal ball has gone dark. "Scientific progress, without the spur of war, would be slower"
I hate to say it, but I agree. Without real fear or greed, all major social evolution stops. We might send troops overseas but, if society itself does not feel threatened by something real, its people will not adapt to hardships and become self-reliant earlier in life and then reach their full potential. The society becomes soft, trivial, petty, slow to mature and assume responsibility, with constant internal bickering instead of a unifying national identity, always looking to reduce the accomplishments of past generations and over-blow the significance it's own so-called struggles in order to hide its own inadequacies … very much like what we have in many parts of Western civilization today. No triumph of peace can equal the armed triumph of war. I spent 33 years and 4 months in active military service . . . And during that period I spent most of my time as a high-class muscle man for Big Business, for Wall Street and the bankers. In short, I was a racketeer, a gangster for capitalism. Our boys were sent off to die with beautiful ideals painted in front of them. No one told them that dollars and cents were the real reason they were marching off to kill and die. Daniel S: we know the Finns and Estonians had no intention of invading. Lenin did not. And the last 50 years since WWII have seen more innovation than the 50 years surrounding the wars. Colour me unconvinced that war brings innovation. The idea that somehow we would not have built motorways without Hitler is bizarre. Thats okay because the beauty of it all is that my opinion is just as good as yours, and theirs! At least that's still the case in this country, and in the other nations of the free world those brave men died to defend. And that will continue to be the case until the Red chekas eventually take over the free world, and then pick out which of us needs to be sent off to re-education camps and which ones are not meant to return at all. But, until then … we get to speak our minds. Most of 1920 bolscheviks were greatly familiarized with industrialized Germany. More than with Russia. They treated Germany as their homeland, Promised Land. Communists didnt expect to revolt undeveloped Russia, they expected to revolt Germany first. If communists could trade whole Russia for a Germany they would do it without slightest hesitation, as they believed, rightly, that in Germany there was beating heart of the world industry. They would do everything to bring revolution into Rhineland, including leaving whole Russia, not mentioning Siberia and Tambow gubernatory. Since bolschevik army lived of the territory (like Mongols) while revolutionary fervor let them quickly absorb organizations and resources (revolted soldiers and trainworkers everywhere), the logistics woudnt be huge obstacle. Many people in both Russia and Germany expected that Russia would now "return the favor" by helping to foster a communist revolution on German soil. European communists had long looked forward to a time when Germany, the homeland of Karl Marx and Friedrich Engels, would undergo such a revolution. 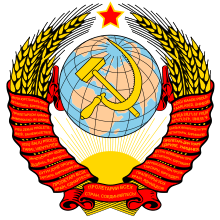 (…) Furthermore, the proletarian internationalism of Marx and Engels was still very influential in both Western Europe and Russia at the time, and Marx and Engels had predicted that for a communist revolution to succeed in Russia, there would probably need to be a Western European communist revolution earlier or at least simultaneously. (…) The communism of Marx and Engels had had a sizable following among German workers for decades, and there were quite a few German revolutionaries eager to see revolutionary success in Russia and have help from Russian colleagues in a German revolution. In the West, workers and peasants! for the freedom of all peoples! Direct their gaze to the West. In the West, addressed the fate of the world revolution. Through the white corpse of Poland is the path to world conflagration. By a decisive battle to gromozvuchnym victories! Fighters of the workers' revolution. Fix your eyes on the West. It is in the West that the fate of the world revolution is being decided. Over the dead body of White Poland lies the way to the world fire of revolution. "There can be no doubt that if we had been victorious on the Vistula, the revolutionary fires would have reached the entire continent."